Strain Reliefs USR Series - Bolt Products Inc. Reinforcing ribs provide extra strength. Nylon USR-400 series parts may help you comply with IEC Publication #335, CEE #10 and #11; VDE #0720, #0730, and others. 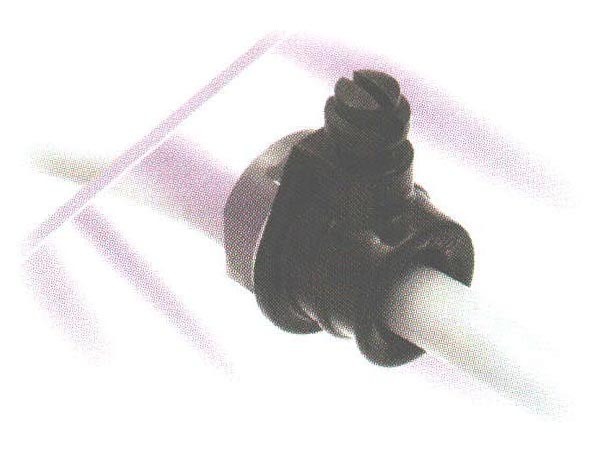 Protects your cable against forces of pull, push, twist, and FLEX; prevents use of larger-than-intended cord diameter. Easy panel installation : fingertip pressure locks bushing into 7/8 (22.2 mm) holes with wall thickness up to .125" (3.2 mm). No need for separate cord guard. The bushing cord exit features a bell-mouth contour, radiuses at 1 1/2 times the exit hole diameter. USR-40 uses captive metal screw and USR-400/401 uses captive acetyl screw.